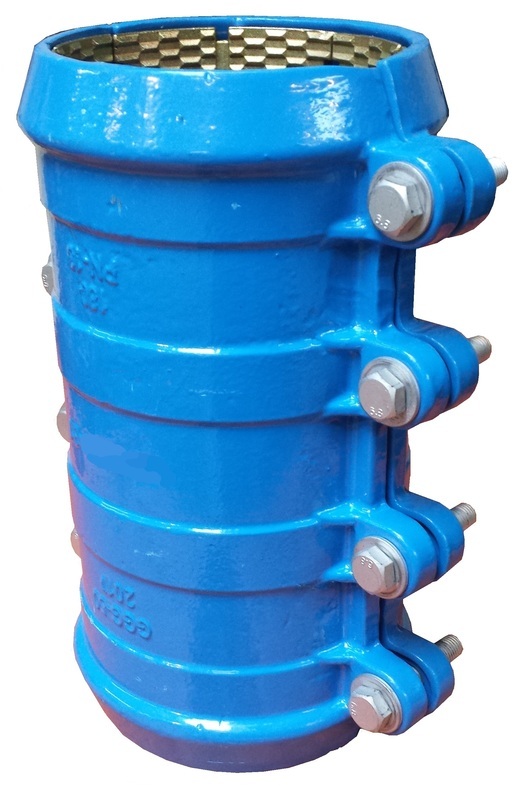 PE Pipe Clamp/Coupling for the repair of splits and cracks in PE pipe - CASCADE PLC - The new home of Cascade Clamps UK Ltd, Suppliers and Manufacturers of pipe fittings to the water & gas industry. The Cascade PE Pipe Clamp/Coupling is dedicated for use on PE, its simple but effective design means it can be installed in a very short time and is a permanent repair on PE lines. This fitting due to is length and the gripper teeth allow it to be used as a coupling also. Available in sizes from 63mm to 200mm and has a PWP of 16 bar. Please see our downloadable data sheet for more information.